Australian native royalty, the Banksia, printed on the outside of cherry colour timber shade. The instantly recognisable profile of the Banksia lends itself beautifully to Micky & Stevie's design in silhouette. Let the light literally shine through the branches of this Australian icon! Black and white fabric cord with inline switch. 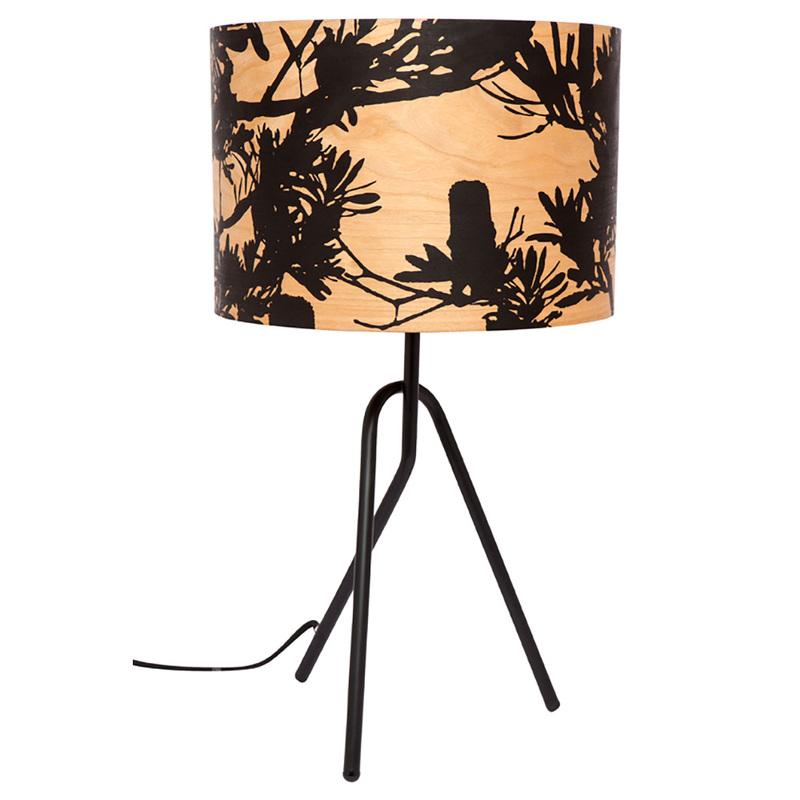 * Coastal Banksia Timber Table Lamp ships as a large parcel and does not qualify for FREE SHIPPING offers.